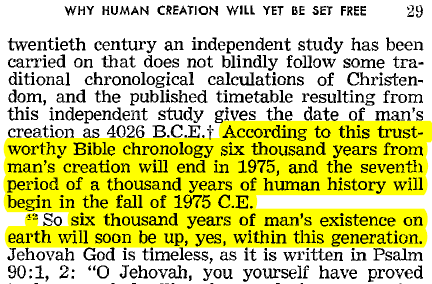 The Watch Tower Bible and Tract Society published a book prior to 1975 entitled Life Everlasting in which they predicted the end of the 6th age of human history and man’s existence on earth in the fall of 1975. This obviously did not happen and is the reason for a big drop in membership in the Society after that date. Most JWs today do not even know about this event. 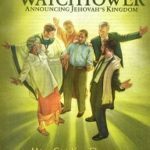 Ask them if the Watch Tower Bible and Tract Society meets the Biblical standard for a prophet. 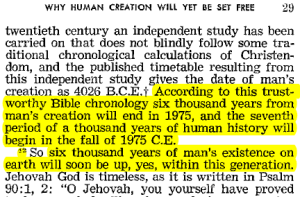 Ask them if the Watch Tower Bible and Tract Society was not trustworthy in past prophecies why are they trusting them with such a thing as critical as their personal salvation. A reader of this site recently gave me an additional argument. It is a fantastic one so I want to lay it out here. 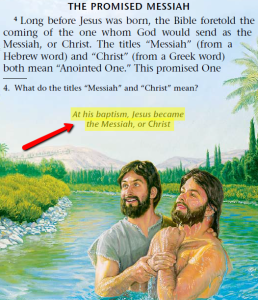 In the book What Does The Bible Really Teach?, which every JW carries with him, on page 38 there is a picture of Jesus being baptized by John the Baptist. The caption on the picture says “At his baptism, Jesus became the Messiah, or Christ”. Ask the JW if they believe that Jesus became the Christ at his baptism. They will have to say yes. Ask them to read Luke 2:11 from their NWT (New World Translation) “For today there was born to you in David’s city a savior, who is Christ the Lord.” Ask them how they resolve the conflict that the Scriptures say that Jesus was born the Christ. Link to full book: What Does The Bible Really Teach?